In a medium bowl, using an electric mixer, beat the Nutella with the crème fraîche and rum extract at low speed until smooth. In another bowl, beat the heavy cream until firm peaks form. Using a rubber spatula, fold the whipped cream into the Nutella mixture until no streaks remain. 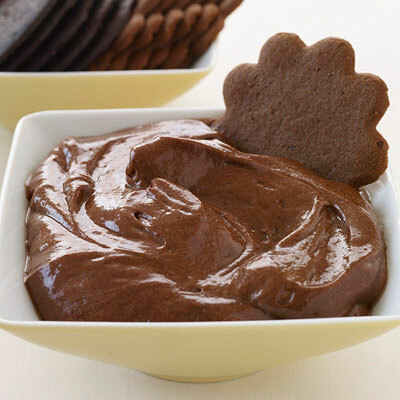 Spoon the mousse into small bowls and refrigerate for 20 minutes. Serve with the chocolate wafer cookies.